It all started off quite innocently. I happened to like the cover of this book. I took it off the library shelf. And amazingly... it was a really good read! It's one of those comfy books that tells the story of ordinary people. Very reminiscent actually of Catherine Cookson's style of writing. It's set in 1952 post-World War II Lancashire and Liverpool. 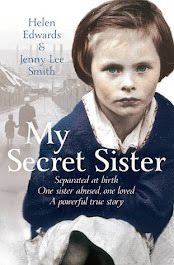 It tells the story of Emma Booth, orphaned and brought up by her grandparents. 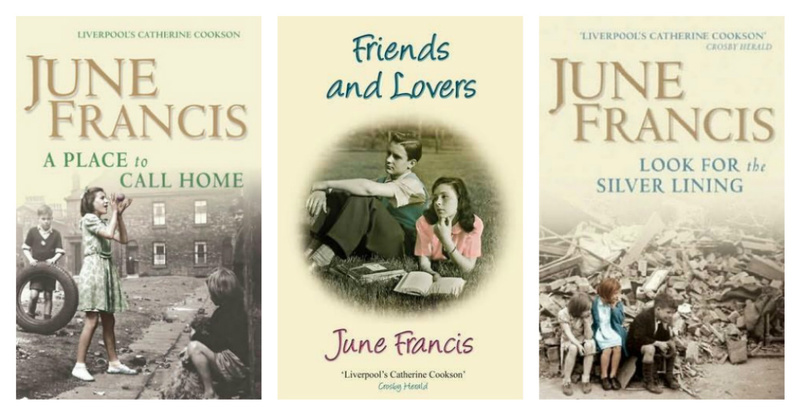 After the death of both her grandparents, while clearing out a few things, Emma comes across a letter that reveals a long hidden secret that she has a half sister in Liverpool... and the story is off and running! 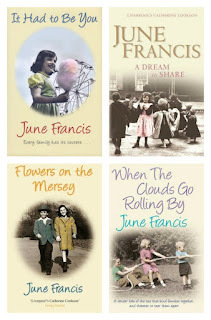 Interested in perhaps finding more June Francis books for my summer reading, I was not disappointed! 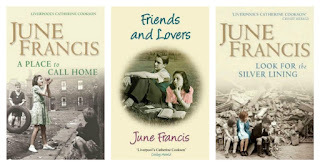 I'm presently enjoying the beginning of an entire series which follows the same family from 1911 - 1955. Summer reading... I look forward to it each year!